You can also maintain a business website to sell your products online. Get the necessary license to avoid legal problems in the future. If you have a sweet tooth, you can start your own home candy business. You will need to develop the skills of making great tasting home candies. The advantage of this type of business is that the supplies you will need to create the candy are relatively inexpensive and since many people love candies, you’re sure to get steady flow of profits. Everything will start with a business plan and if you work on it, you will have a guide that you can use prior to opening until you’ve the actual operation of the business. You will have to create unique recipes that children and adults will love. 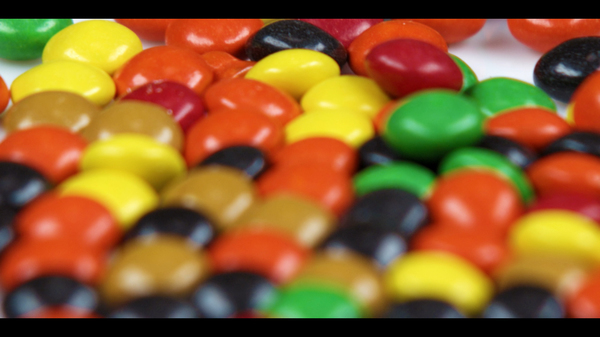 Since the taste and preferences of people vary, you will have to create a variety of candies. Work on several items only and master them. If the candies are saleable and quickly gains popularity, you can now think of other options. When you purchase the supplies, make it a habit to keep all the receipts. You will need this when determine the price of the candies. The cost of the supplies plus labor divided by the number of candies created will give you the base price. You can add a small amount for the profits. Today, a box of candies can be priced around $10 but the price will still depend on the supplies you use and the length it takes to make the candies. The packaging can make or break your business. Choose attractive packaging like box, tissue paper, plastic, etc. Since your just starting out, you can use low-cost packaging but never sacrifice the looks. You need to attract customers and the best way to do it is through attractive packaging. You can sell the candies during craft fairs, bazaars, and in flea markets. You can also advertise online through your business website. You have to take note of the sales figures and compare it to your expenses. From the very start, you should already account for all the expenses and sales to succeed. A food business at home should be officially inspected and if you don’t have a commercial kitchen, you can get penalized. If you are serious with your home-based business, you will comply with the requirements and get a business license. This is the right decision so that you can avoid legal problems in the future. Once you work out the business plan, you can now apply for the license and submit all the requirements. Please tell me details where i get raw material to manufacture candies. i am interested in candies business, i in chennai city, tamilnadu. I want to start a business by selling small things like sweets)(snacks)(kwaai)(chicken bones)and lending money. Sir please tell me how i can start my candies business at home. please tell me contact no of any person in Punjab , Jalandhar which can b help me for this. I interested in starting my own candy making business in Zimbabwe Africa. Please assist with relevant information.